As a business owner, you undoubtedly know how important it is to establish an online presence on popular social media platforms, such as Facebook and Instagram. While these platforms are perfect for connecting you with fans and potential customers, they aren’t always ideal for supporting a Business-to-Business (B2B) marketing strategy. Achieving success in social marketing traditionally isn’t as easy for B2B companies as it is for their B2C peers. 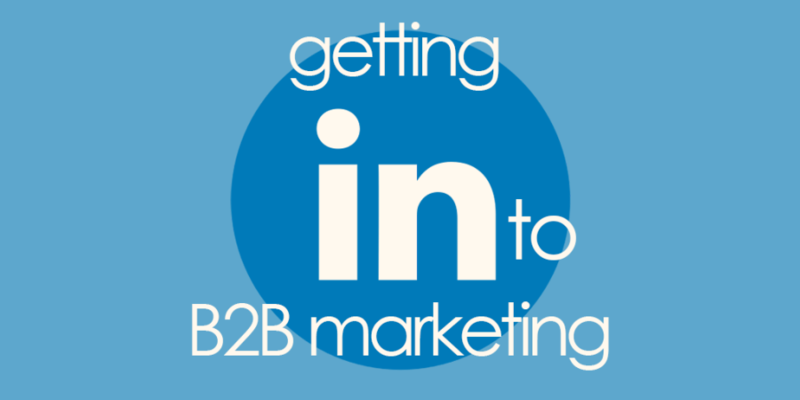 However, by joining a dedicated business-oriented social networking site, like LinkedIn, you can begin to harness the power of B2B social marketing. As with all social media platforms, it’s not enough to merely have a presence. Your LinkedIn strategy and profile account should instantly appeal to your audience and draw them in from first glance. Read on to learn six ways you can improve your LinkedIn profile to better support your B2B marketing strategy. There is no single right number of posts to make on your LinkedIn page per month. However, we do know that posting too infrequently is a great way to make other users think your company is, at best, unprofessional and, at worst, no longer operational. A study undertaken by Hubspot found that B2B companies that published over 16 posts per month received approximately 3.5 times more traffic than businesses who posted below four times a month. A big part of maintaining a successful business is attracting the right staff. That’s why it makes sense to utilize the LinkedIn Careers portal. Listing open positions, as you can see on the Talus Payments company page, makes it simple for potential employees who read your business’s bio and feel inspired to easily see and apply for relevant positions in your organization. Hiring via LinkedIn also makes you more likely to acquire applications from individuals who have a good understanding of your company and industry than recruiting via standard job boards. It’s not easy to establish yourself as a thought-leader, but your LinkedIn profile is a great place to start. Begin by choosing a niche that you know inside out, so you don’t have to compete in fields with already established experts. By publishing specialized content on your LinkedIn company page, you’ll attract the attention of other important players within your industry, courting collaboration and gradually cementing your reputation as an authority in your field. Increase your credibility and grow your knowledge faster by also participating in relevant LinkedIn Group discussions. Like any social media platform, networking is key for online recruitment and leads. Particularly on a business-oriented social networking site, your goal should be to build as many useful connections as possibly within your industry. You can achieve some measure of this by simply having a professional-looking profile page and posting frequently. But if you want to take things to the next level, you’ll need to participate in groups. Whether you choose to start your own or join existing discussions, LinkedIn Groups give you the opportunity to both find and build rapport with your prospects while establishing yourself as an industry authority. Just like on Instagram or Youtube, LinkedIn has its own brand of influencers. Whether you target famous specialists, like Bill Gates, or lesser-known gurus in your field of interest, posting on or sharing their content serves several purposes. First, it gives the thought leader the chance to notice you and acts like a warm call for any future business you might do together. Secondly, posting their content to your own profile acts as a vehicle for conversation between you and your current network. You can both showcase your expertise by presenting your opinion and encourage activity and engagement with your brand page. Your company profile is a reflection of your business. If you have old information and outdated links, you’re telling the business world that your company is irrelevant and unprofessional. Make sure your profile is performing at its peak by filling out sections like “skill and expertise” and “volunteering and causes.” You should also list the products and services you offer, along with a vibrant mission statement and a custom URL. Adding a list of publications you’ve written and requesting recommendations from your connections is also a great way to enhance your profile and reinforce your credibility. It’s no easy feat to boost your business above all the digital noise, but by following these six simple tips to make the most of your LinkedIn profile, you’ll soon find your digital authority rising to new heights.